Hey guys! I’m super excited- there are so many great things going on over here on The NYC Talon, and I’m so thrilled to be able to share them with you! First off, I’m having an amazing pinterest-themed giveaway for a $225 Hype crossbody bag right now – so if you haven’t entered then please do. Secondly, next month is my birthday month and so I’ll be spreading the joy will my amazing readers with a super special giveaway worth over $150! So stay tuned! 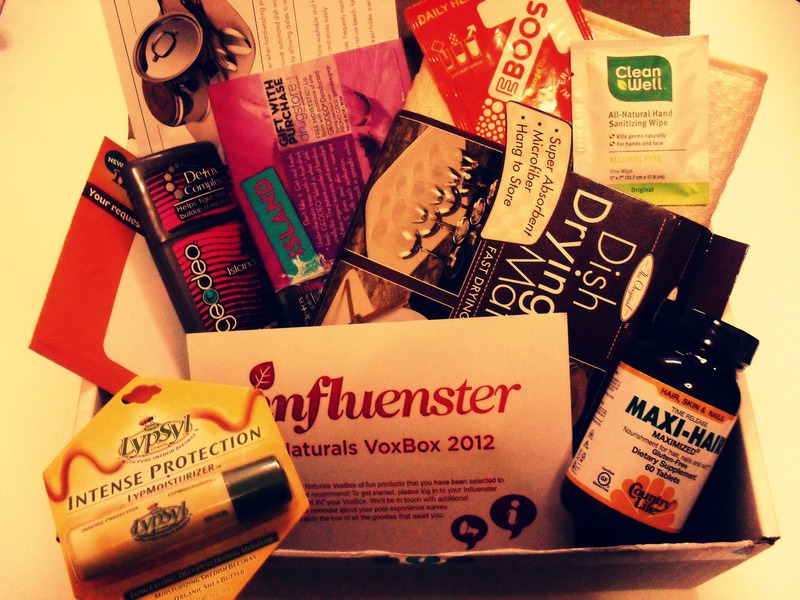 And my last bit of exciting news is that I was one of the lucky influensters chosen to receive the Naturals VoxBox! Woo hoo! I really loved this mat. I know a lot of people will be using it for their dishes- and I totally will too – but I can’t get over how great this works for drying makeup brushes! This mat is a perfect flat, clean, breathable, fast-absorbing surface (it holds more than 4x its weight in water) – that folds and stores super easily. I’ve always been a massive fan of Lypsyl. Their LypMoisturizer is my go-to winter chapstick, so I was happy to see an old favorite in the box. EBOOST is daily health booster, that’s supposed to boost your mood, focus, and immunity with natural ingredients. It sounds really great (and tastes good too) as I do tend to get sick sometime during the fall and winter months. I can’t really give a completely thorough review as I only received one packet, but based on that – it’s a great health booster! Sticking with the natural theme of this box, the CleanWell wipes are made up of all natural ingredients that are easy on the earth. These are really great because if you’re like me and have sensitive skin, and alcohol heavy wipes are a no-go, then these CleanWell wipes are right up your alley. They’re really mild (you can even use it on your face) – but work well enough to give a thorough clean. I love a good deodorant. As somebody who takes public NYC transportation, I can fully appreciate the benefits of good deodorant (and the horrors of having to smell somebody’s lack thereof). 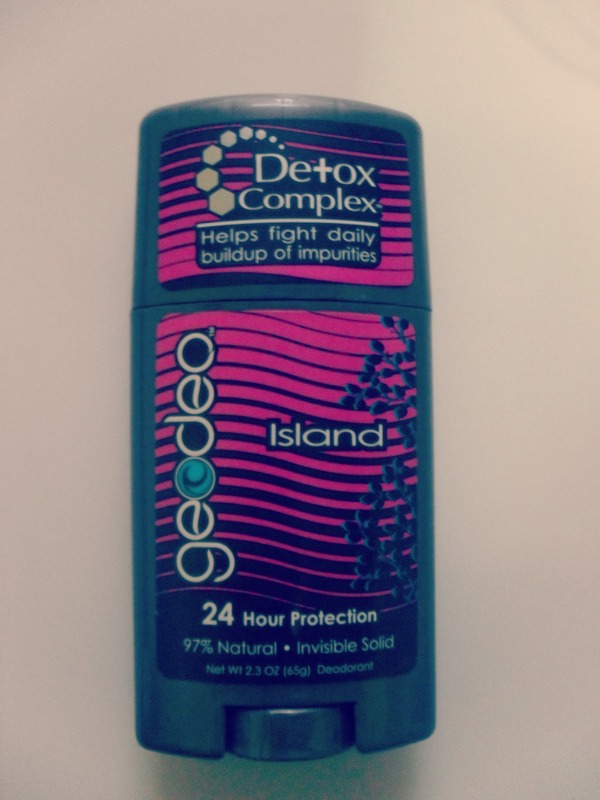 GEODEO’s deodorant has a detox complex made out of volcanic minerals, and Icelandic algae that work to fight impurities. Vitamin E fights free radicals, bamboo and aloe nourish skin, and enzymes neutralize odors. Also, it smells really really good! Made from monk fruit, Nectresse is a zero calorie sweetener that actually does taste like sugar! I used my sample packet on a bowl of strawberries- yum! 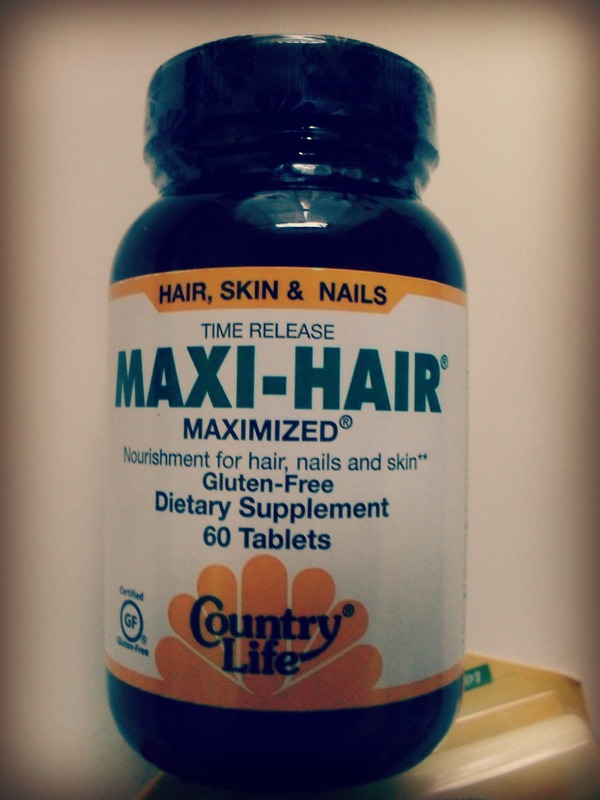 I haven’t run a complete scientific study on the benefits of these pills, but what I can tell you is that they are choc-full of vitamins, biotin, and MSM – which are all great to take if you’re looking to bring a little life back into your hair, nails, and skin. I can’t wait to see my long term results! What girl doesn’t want to give her skin, nails, and hair some nourishment?! Altogether I was very happy with the Naturals VoxBox. There’s not a product in here that I wouldn’t get behind. I’m particularly excited about the Country Life pills, and the GEODEO! The drying mat and the Lypsyl are already being put to good use, and my samples of EBOOST, CleanWell, and NECTRESSE have all been used. Are there any products that you’re interested in? What natural products do you buy or are in the market for? Leave me a comment below and I’ll get back to you asap! 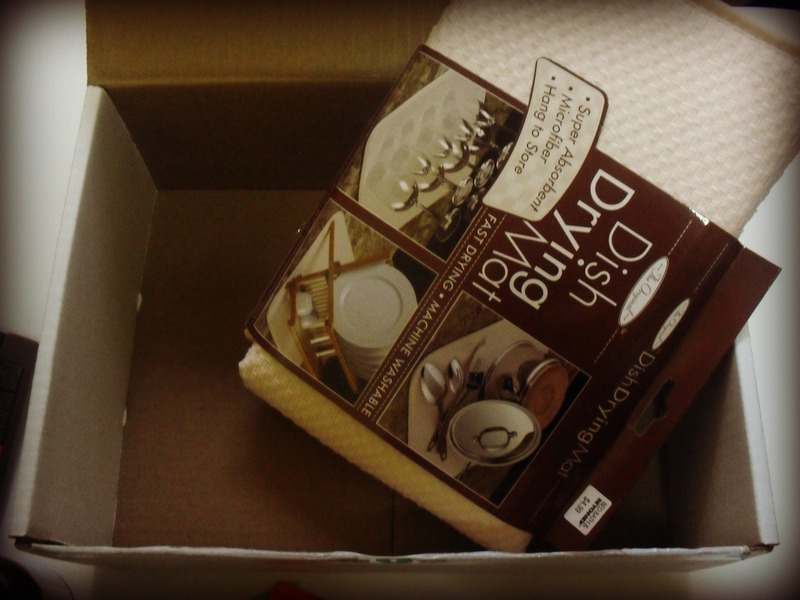 *Disclosure: I received these products complimentary from Influenster for testing purposes. No other compensation was received. All opinions presented on this blog belong to The NYC Talon and are not influenced in any way. For more info please feel free to view my PR page at the top of this blog. Previous Post Linger Rose Pin-to-Win! don’t usually like natural products but seems like a cool box. I’m trying to switch over to more natural products and these sound great. I especially liked the lip moisturizer, the Eboost, and the sanitizing wipes. And the matt sounds good, too.